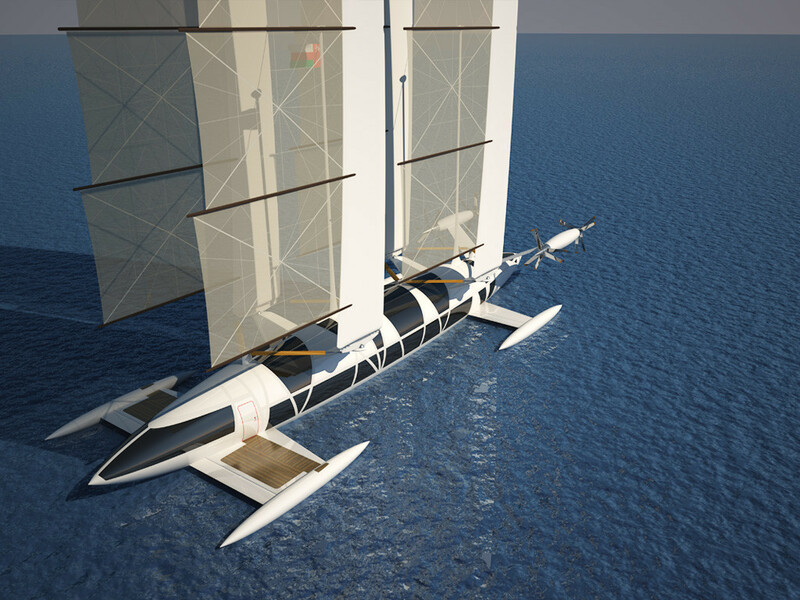 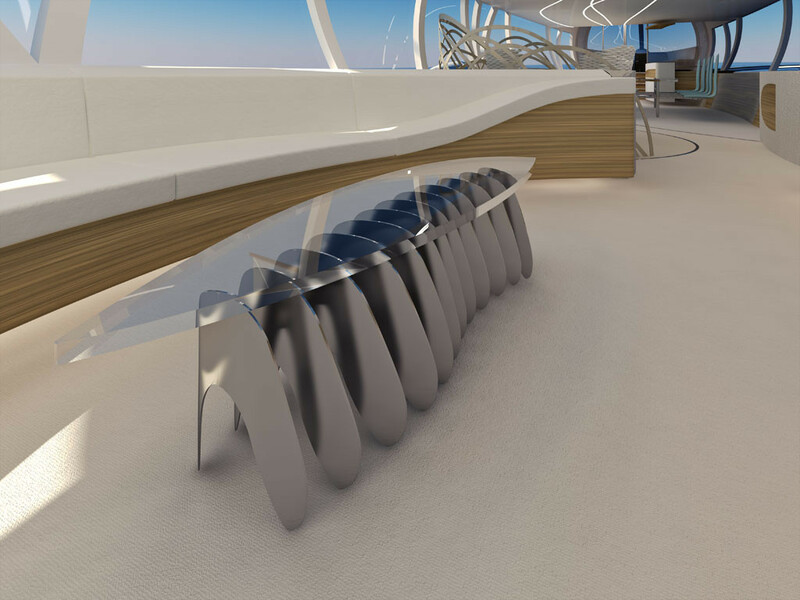 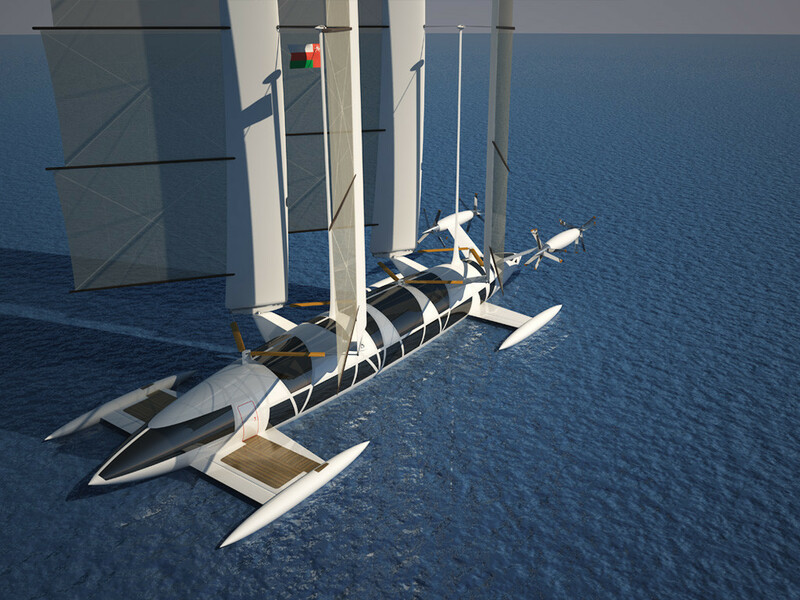 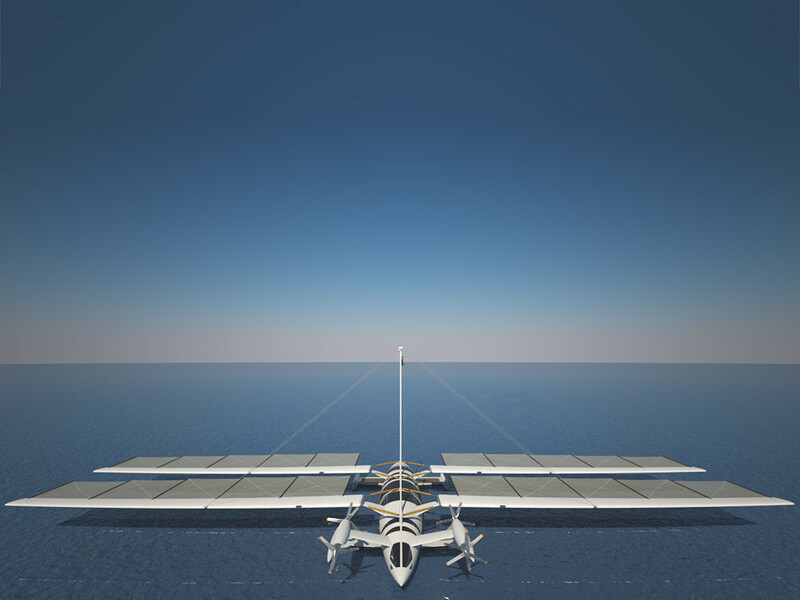 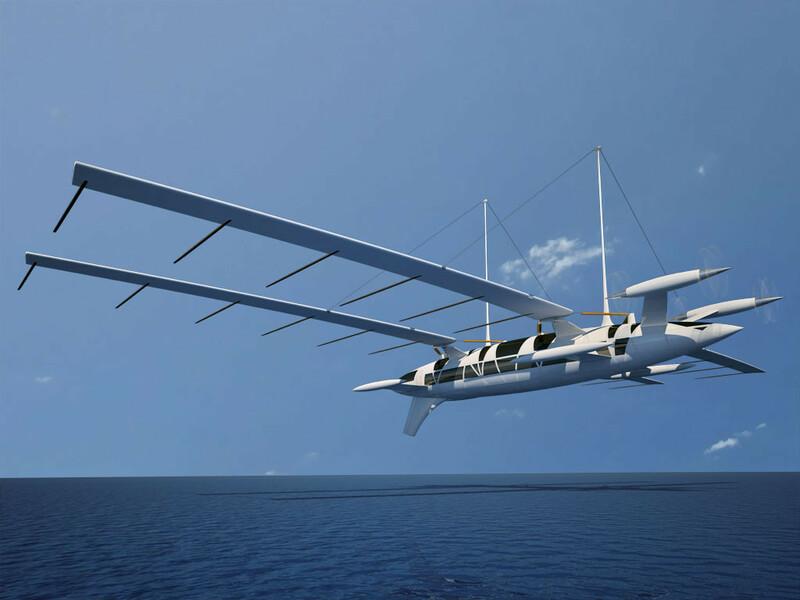 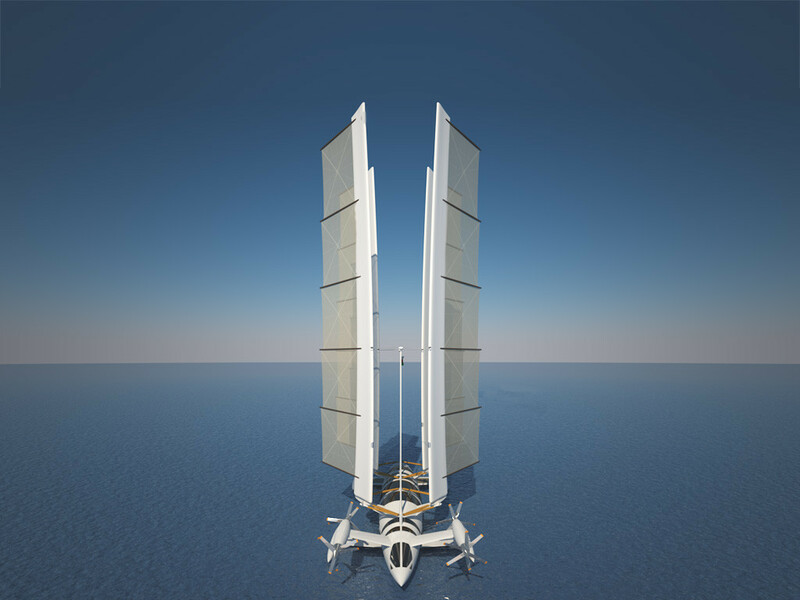 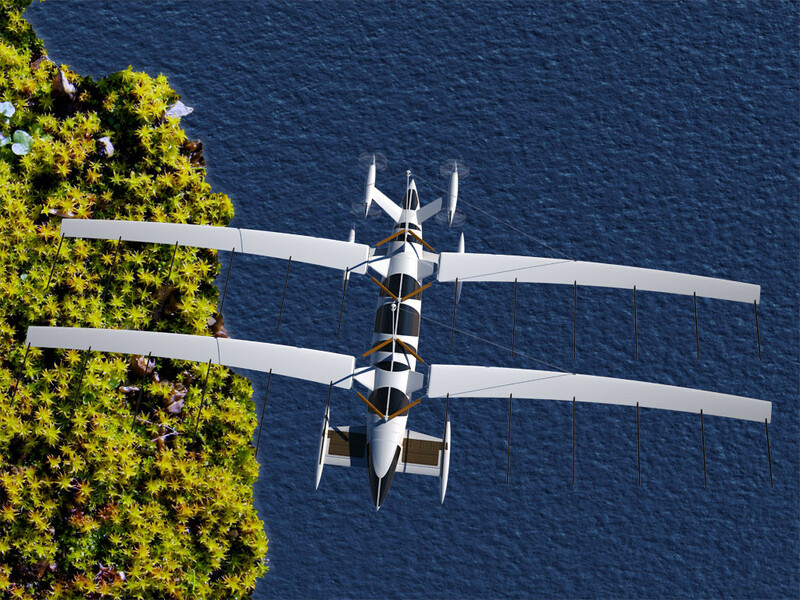 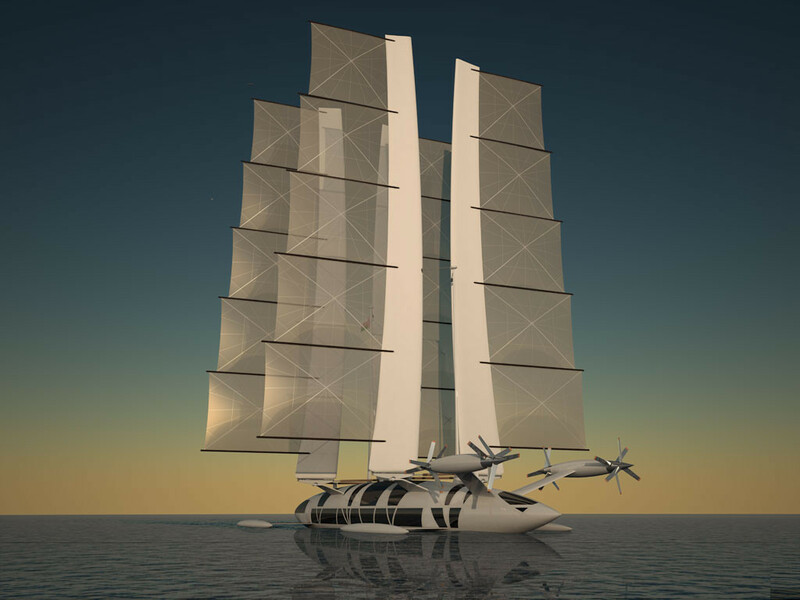 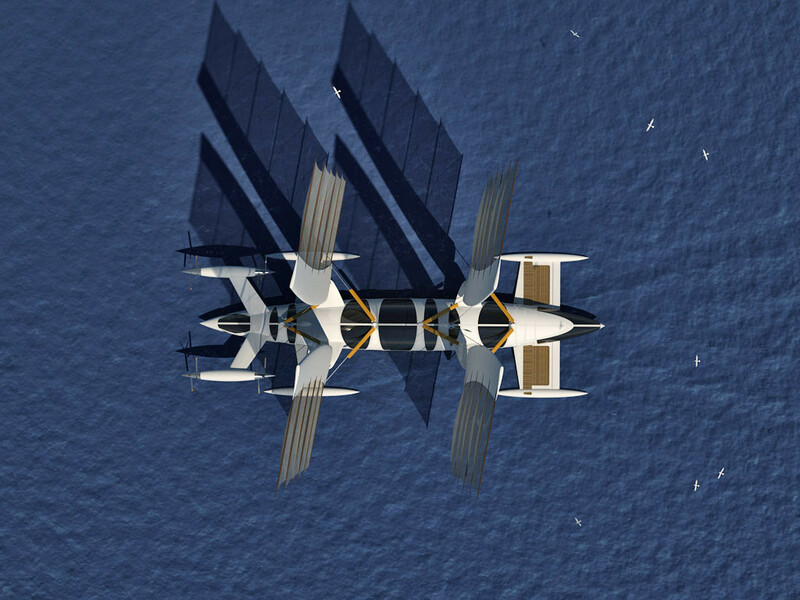 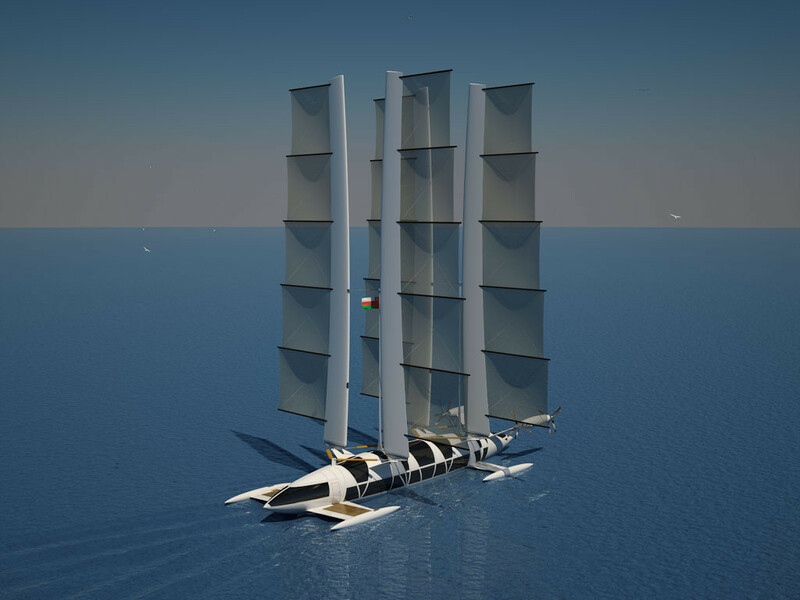 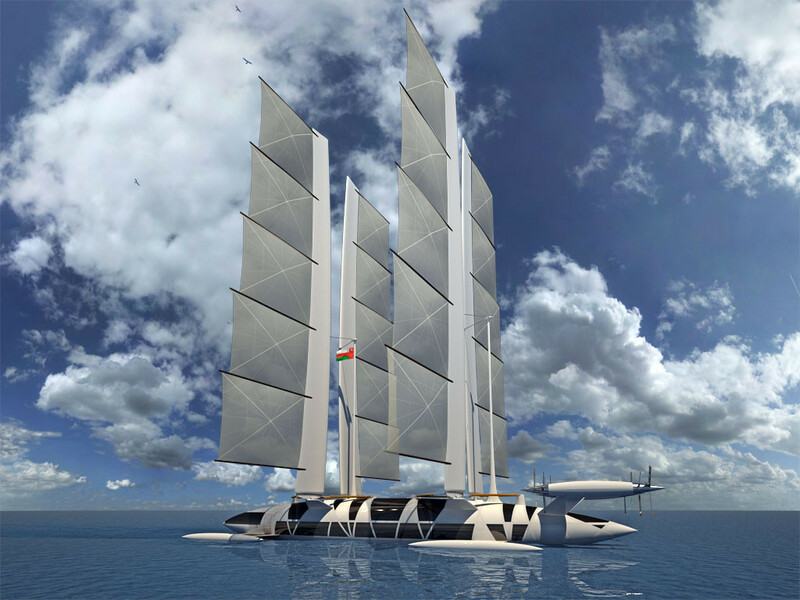 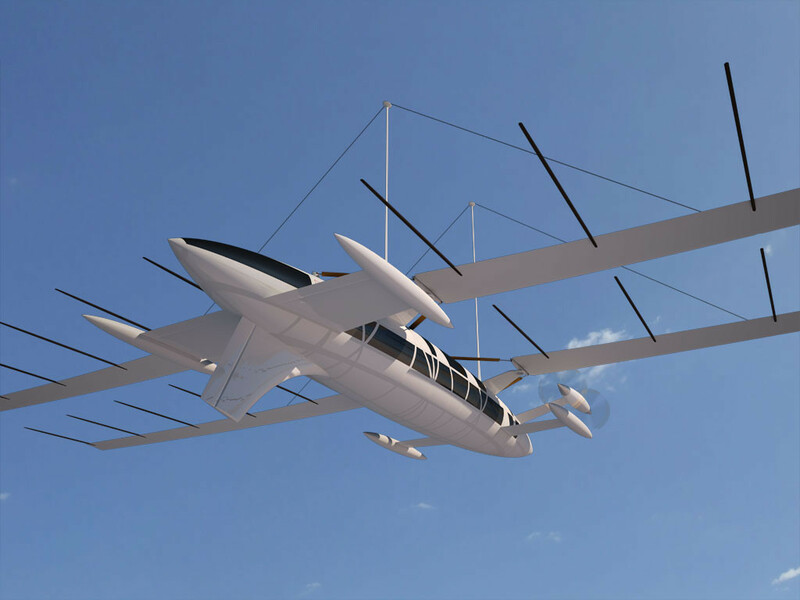 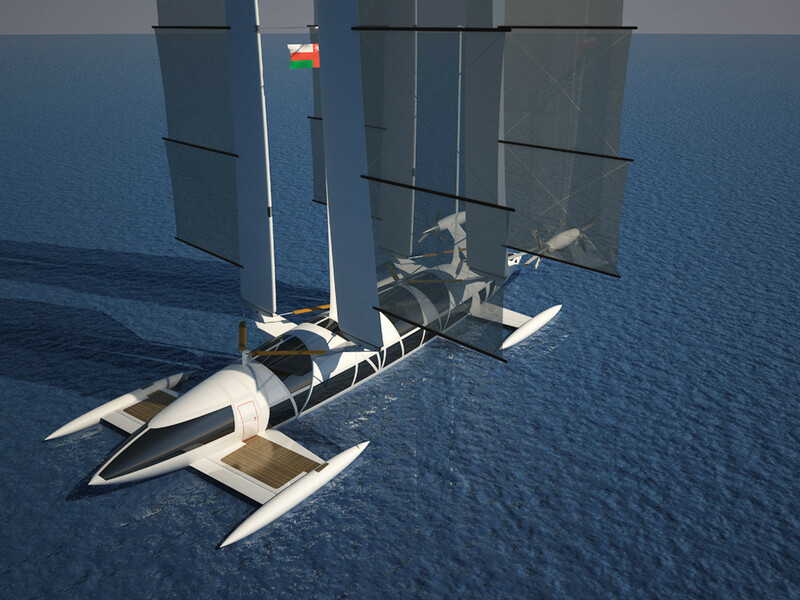 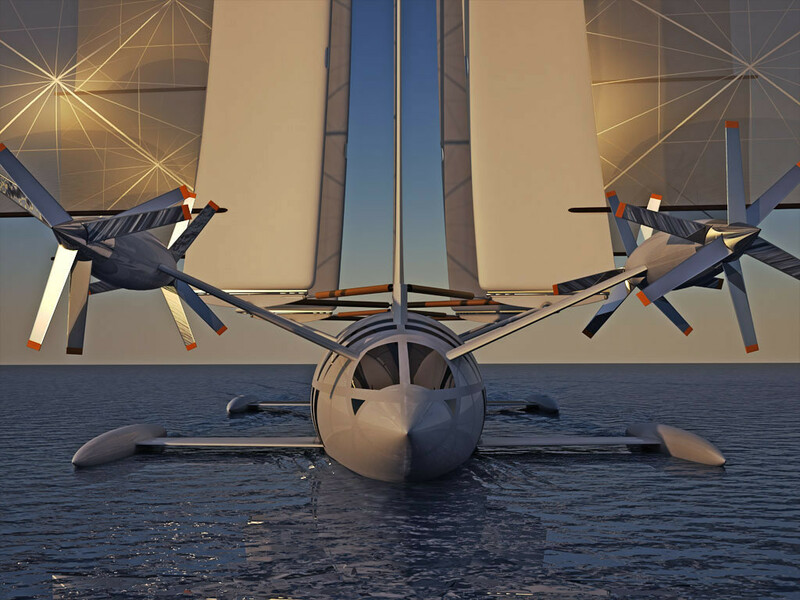 A sailing yacht that can transform into a plane thanks to its four mobile masts. 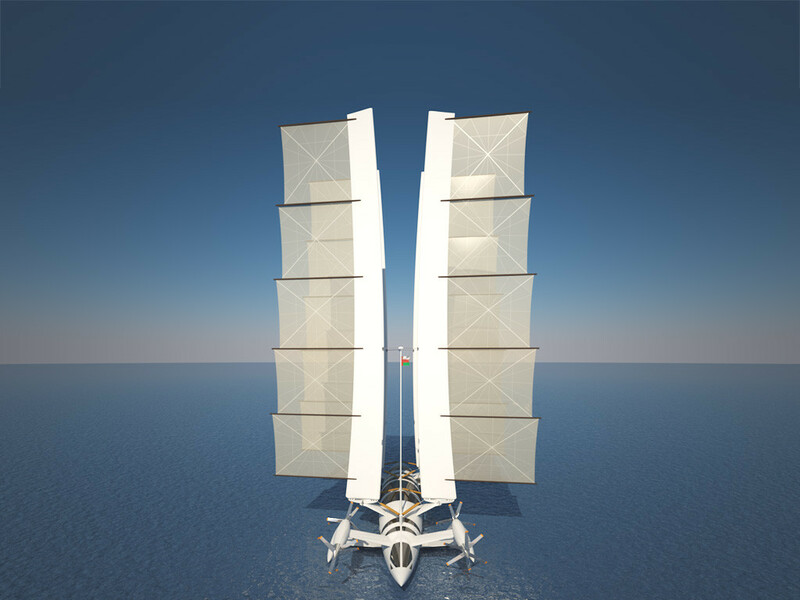 The sails are retracted and the four masts are lowered to become wings. 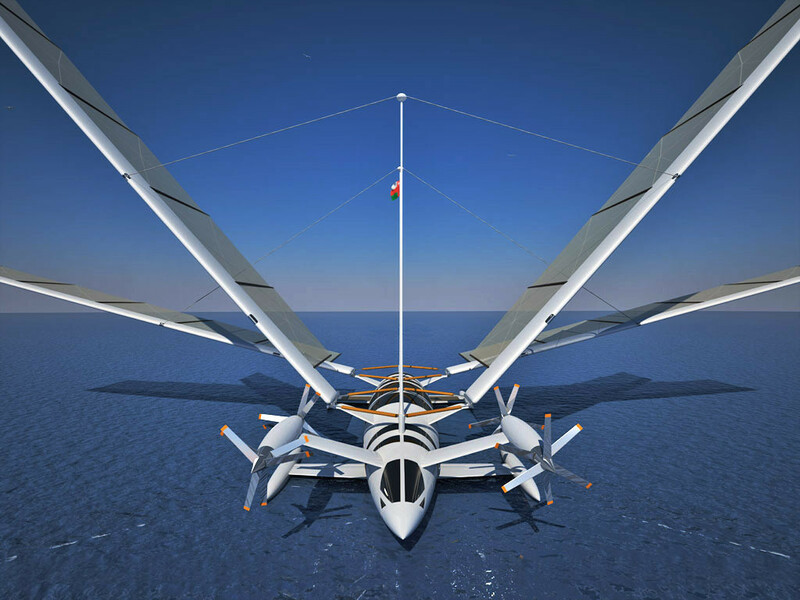 This model was manufactured at the Aerocoché plant in the water sports facilities of Salles sur Cérou, in the Tarn french departement. 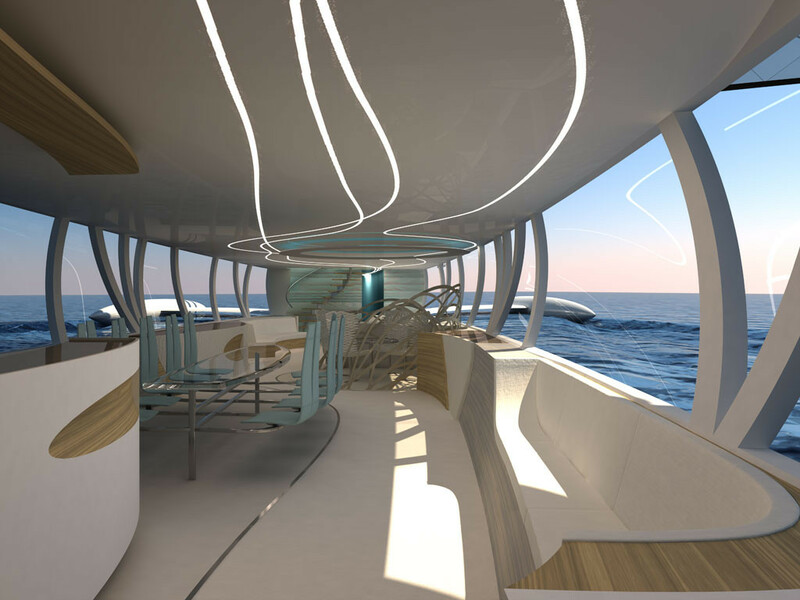 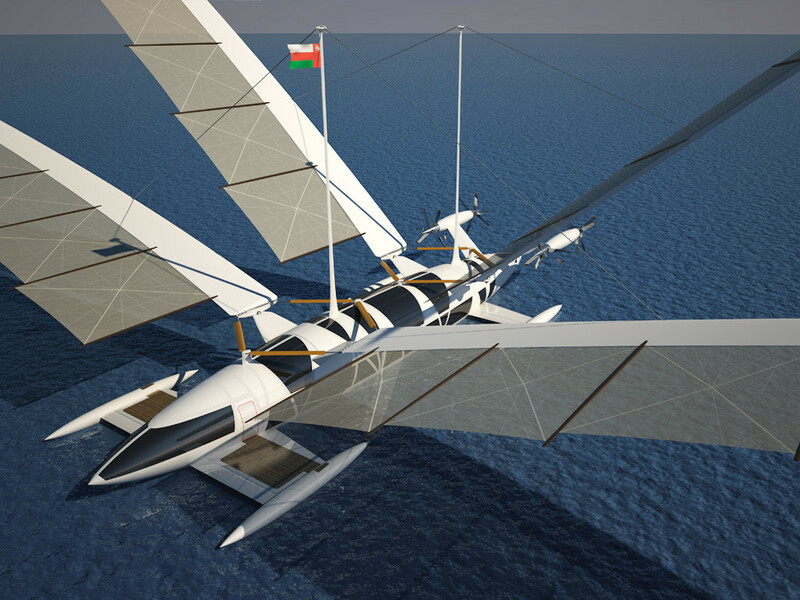 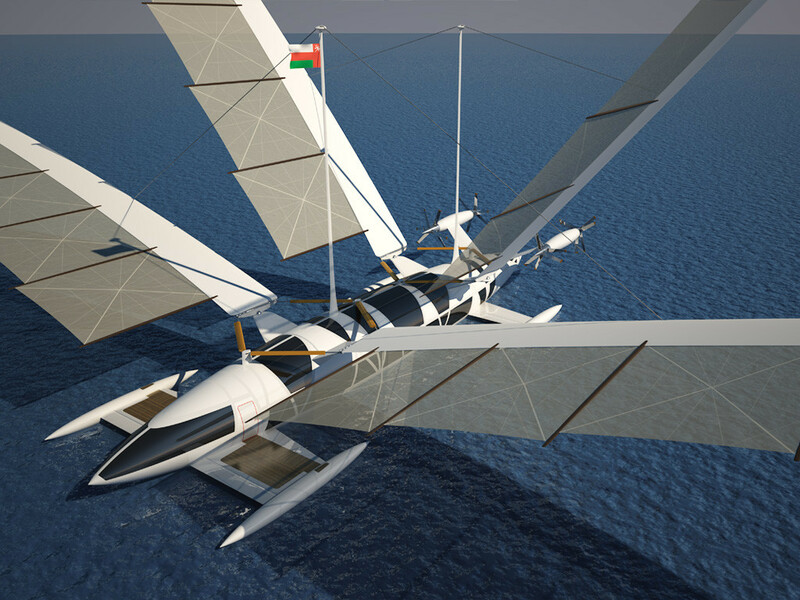 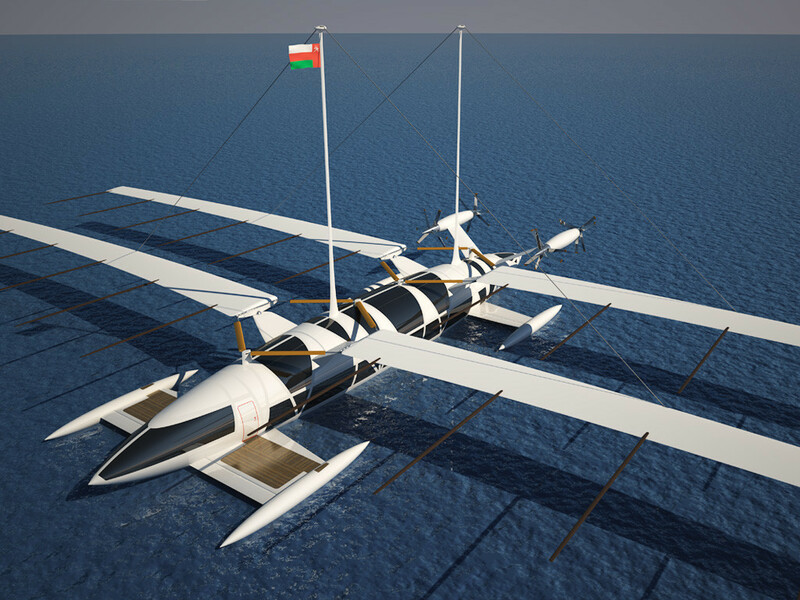 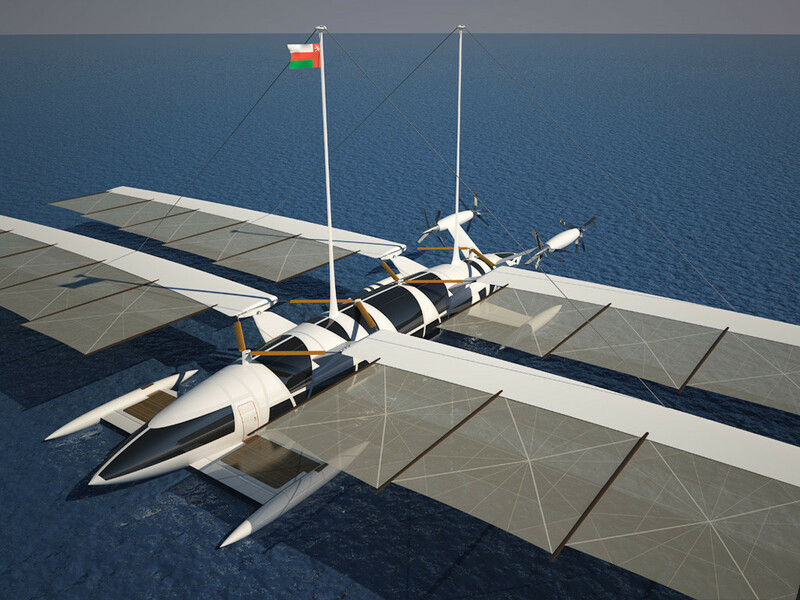 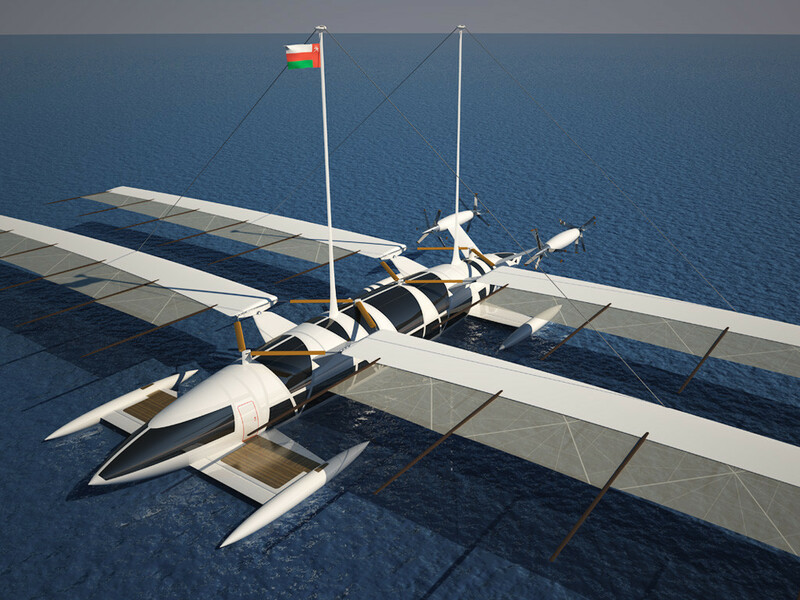 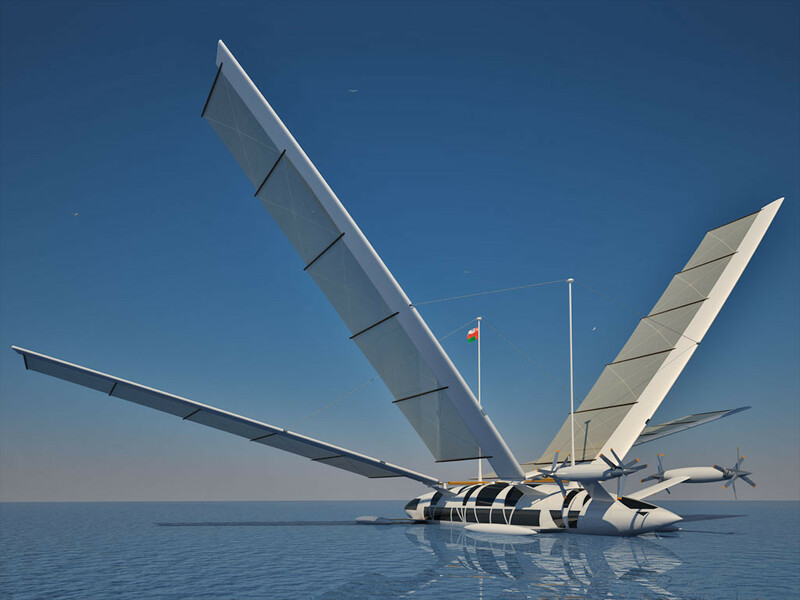 It was designed for the princes Aziz, Dawood & Hashim, corporate executives of the "Masqat Airways" air transport company, and allows them to enjoy sailing along the Omani coastline with its 600-km range in the plane version. 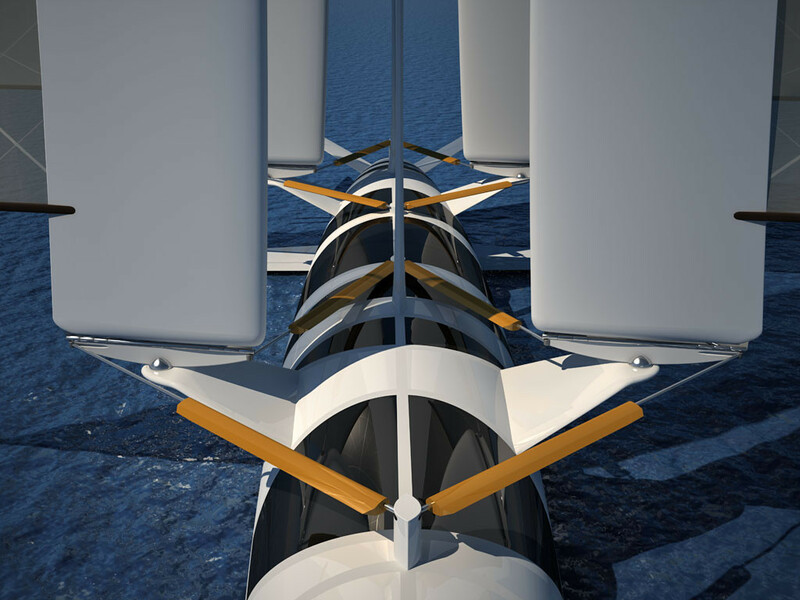 Four dual propellers "Nissen & Brasseur" powerhead engines are taking care of the propulsion in Plane mode. 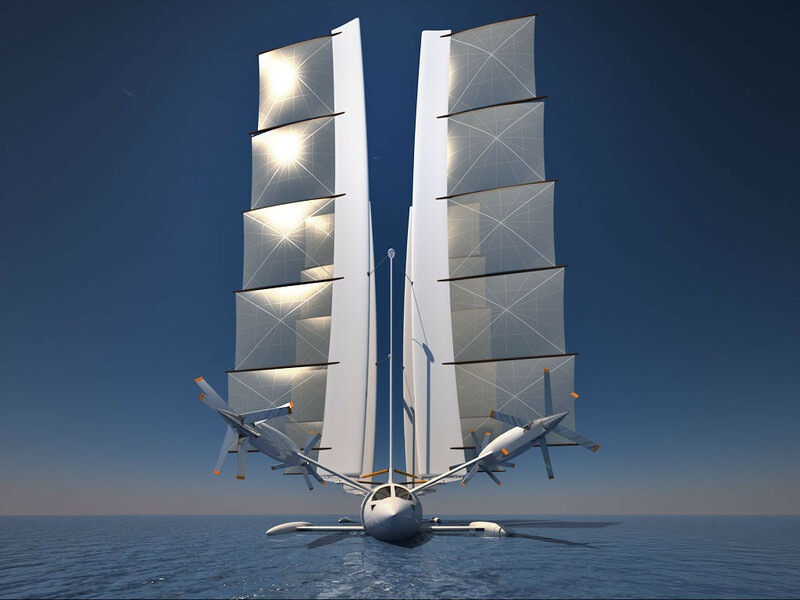 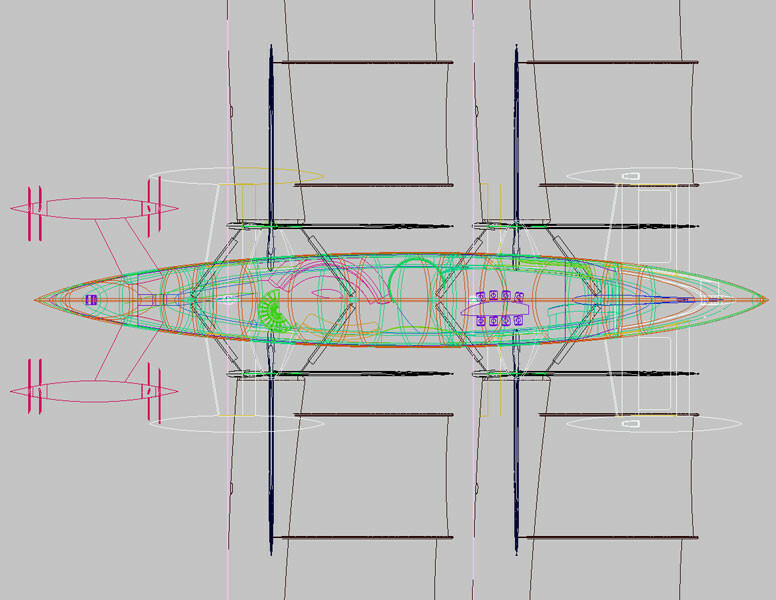 The propulsion is provided by the sails of the four masts in Boat mode. 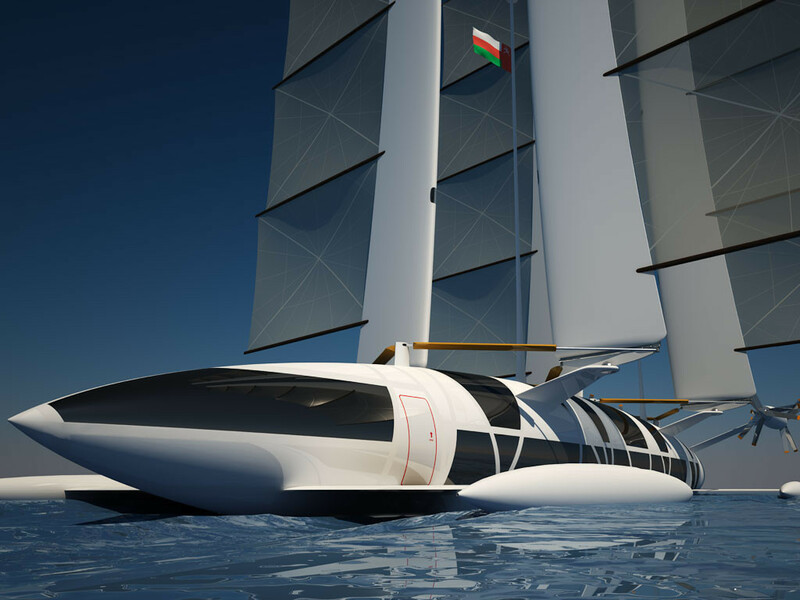 The surface of the sails is 1,302 sq. 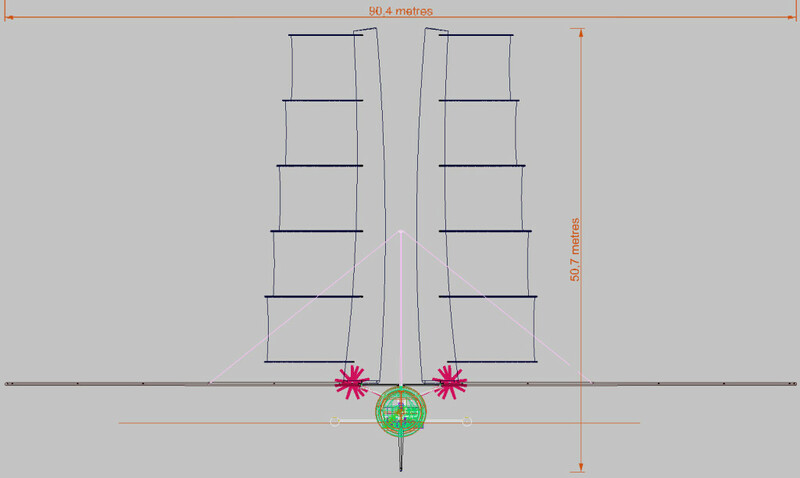 m. Each mast can be individually oriented through a double-jack system that ensures an optimal positioning regardless of the wind direction. 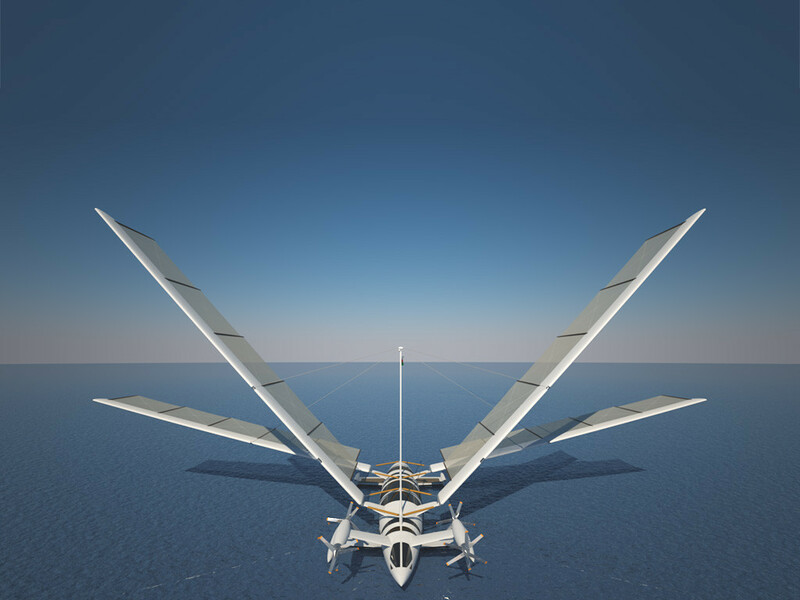 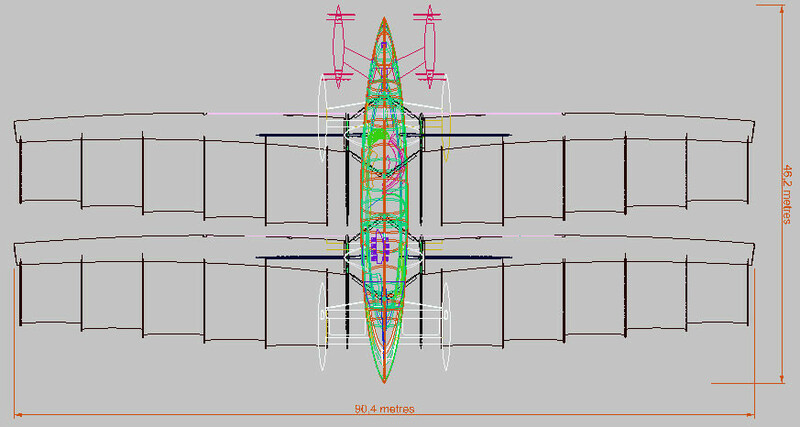 In order to transform into wings, the masts must be lowered in horizontal position. 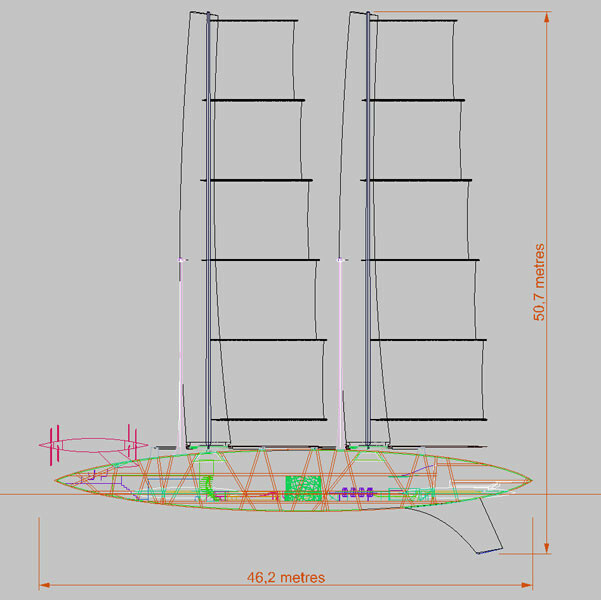 The sails will then go to storage compartments located inside each mast. 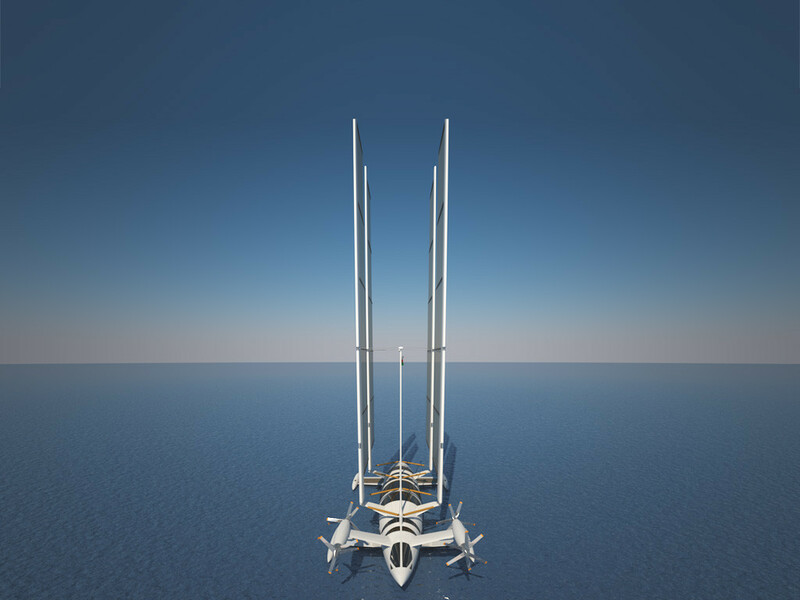 The four masts are lifted and lowered by a set of four shrouds set up on two central masts. 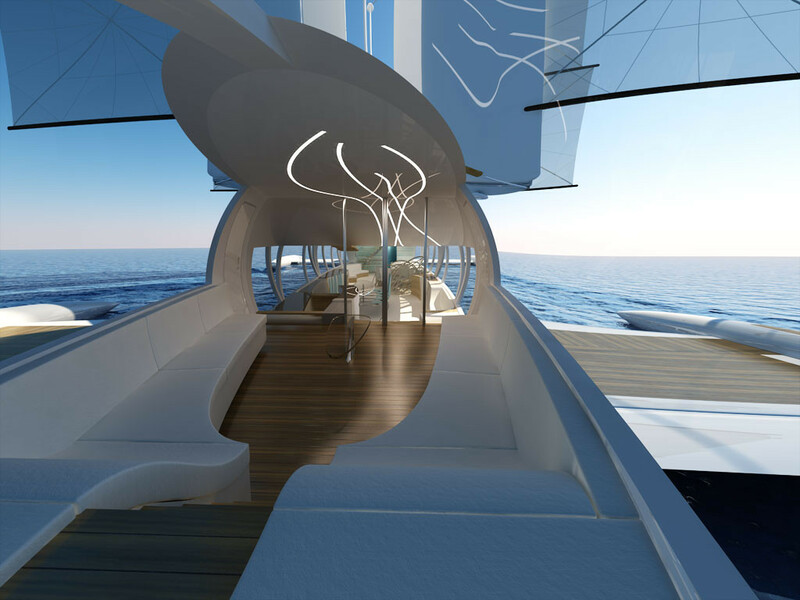 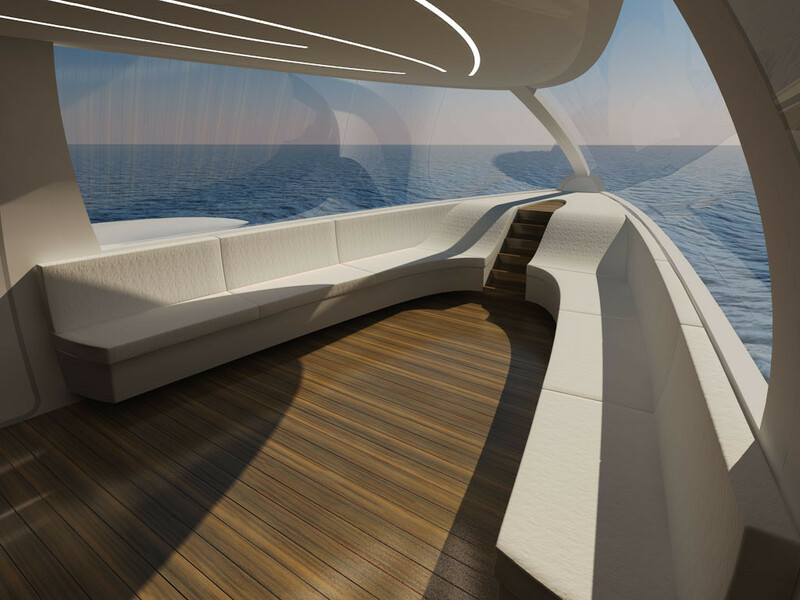 The yacht has two main decks, a half-deck in the aft and another half-deck in the fore for the cockpit. 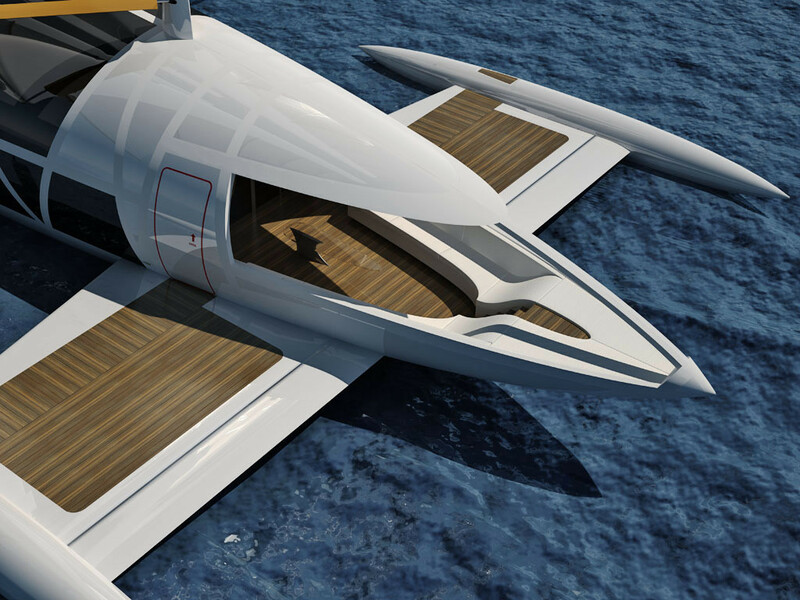 Access inside the boat is through two doors located above the aft floats. 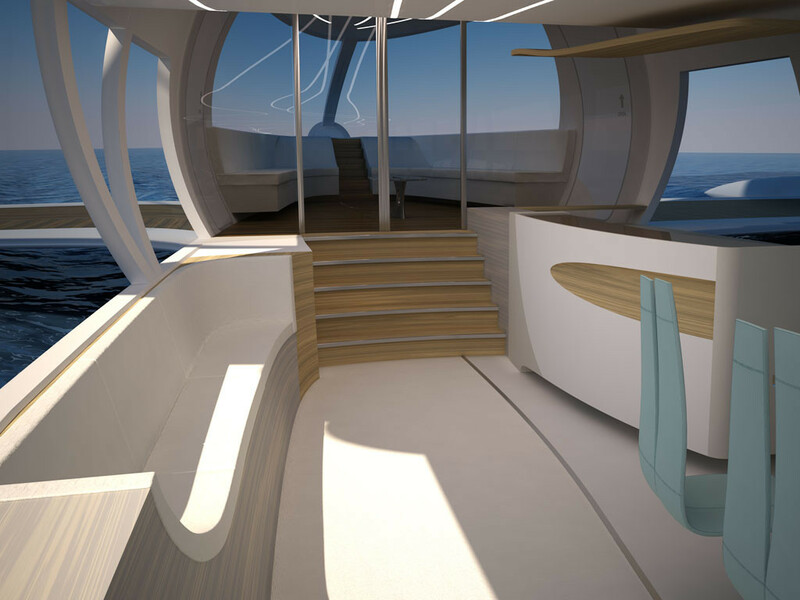 The lower deck features a main room, a kitchen, a toilet and a storage room. 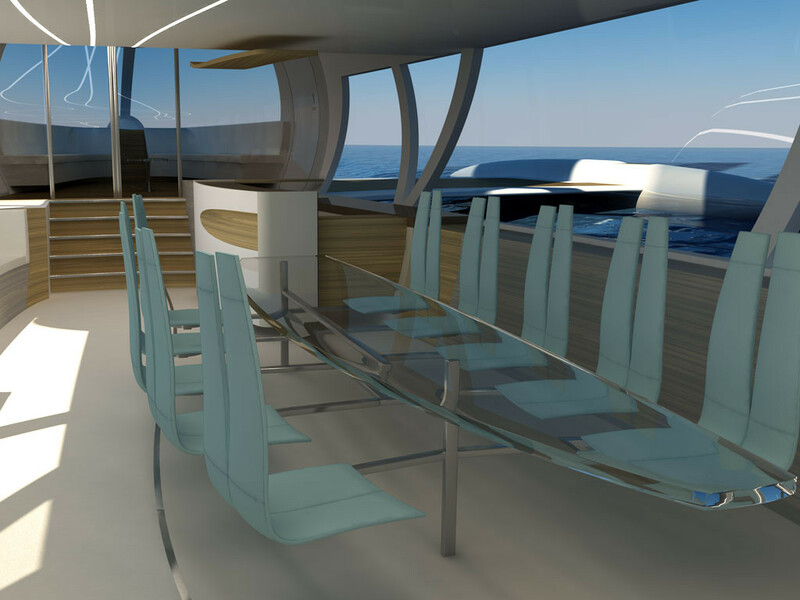 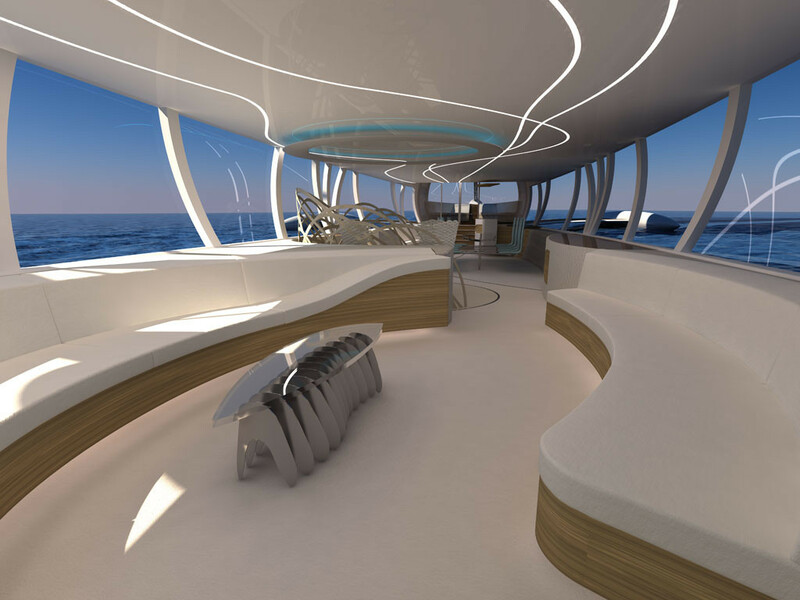 The main room's floor is above the sea level, so that the windows can be just above the boat's waterline. 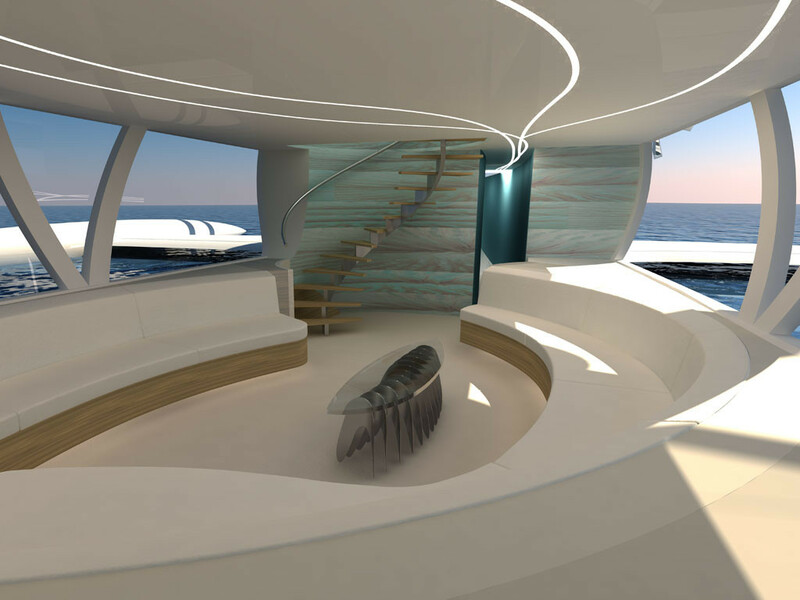 The pictures of the slide show display the various areas of the mainroom. 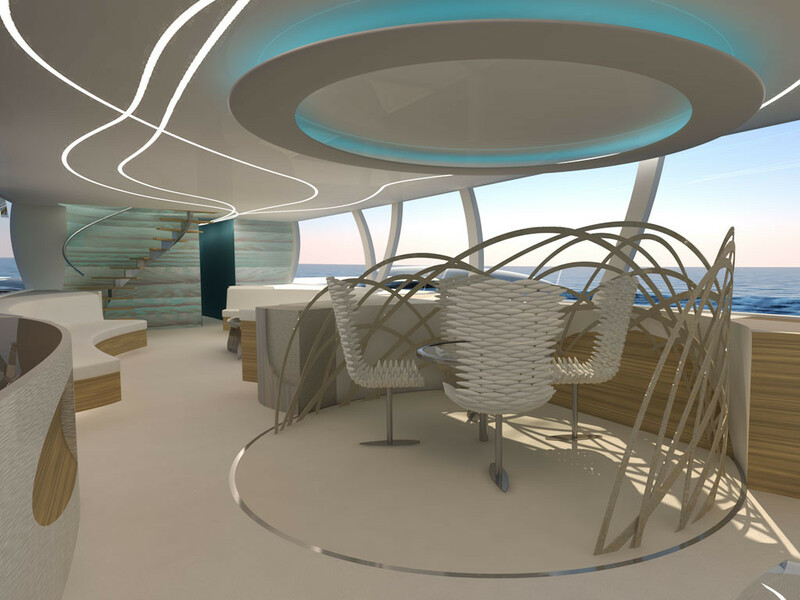 The upper deck features three rooms and a bathroom.